There's no doubt that Al Pacino has struggled to find the great movies that once defined the actor's career decades ago. However, there might be a glimmer of hope with Danny Collins, the film formerly known as Imagine, directed by Crazy Stupid Love writer Dan Fogelman, making his directing debut. The film finds Pacino playing an aging rock star who receives a letter from John Lennon, 40 years after it was meant to be delivered. And so begins the title character's attempt to reconnect with his family. It looks a little cheesy and conventional, but it has charm in this first trailer. Plus, there's an impressive supporting cast including Jennifer Garner, Annette Bening, Bobby Cannavale and Christopher Plummer. Watch below! 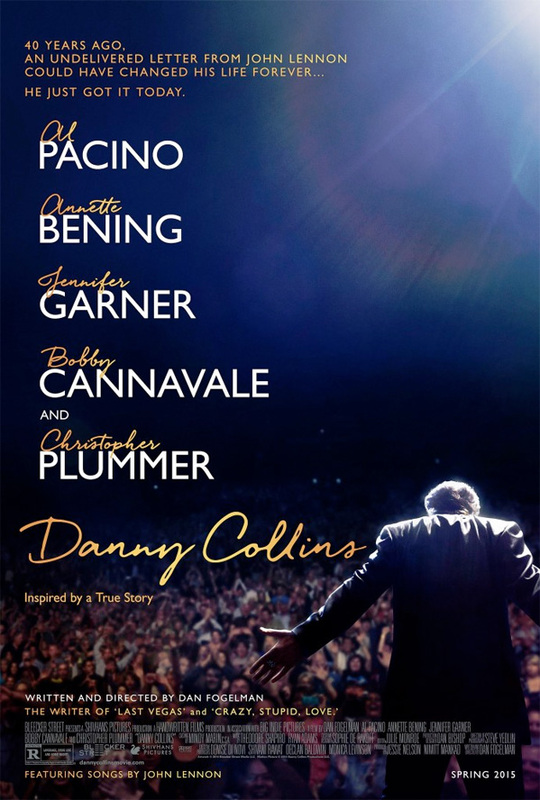 Inspired by a true story, Al Pacino stars as aging 1970s rocker Danny Collins, who can’t give up his hard-living ways. But when his manager (Christopher Plummer) uncovers a 40 year-old undelivered letter written to him by John Lennon, he decides to change course and embarks on a heartfelt journey to rediscover his family (including Jennifer Garner and Bobby Cannavale), find true love and begin a second act. The film is directed by Dan Fogelman (writer of Crazy Stupid Love and Last Vegas) making his feature directorial debut from his own script. The film hits theaters next spring on March 20th, 2015. Good? Looks absolutely great. The Pacino-Bening scenes look masterfully scripted. Too bad the trailer shows too much. Fantastic. I hope we can get a few more performances from Plummer he nails everything.